This green tea ice cream, made with milk, sugar, cream, egg yolks, and matcha (green tea powder), is a traditional Japanese dessert and an elegant and refreshing surprise for family and company. What's The Garnish In The Photo? Talk about a stunning scoop of ice cream. Although we have to admit, we weren’t exactly certain about the provenance of that powdery dusting of … whatever is sprinkled atop the scoop. Turns out it’s kinako powder or toasted soybean flour. 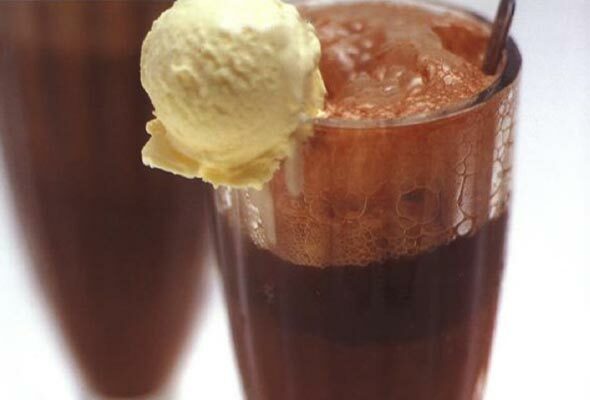 The pulverized bits offset the pale ice cream nicely, although should you seek a sprinkling of something a little easier to find, finely ground peanuts or pulverized toasted coconut are also quite fetching. That said, an embellishment is hardly essential on something this smooth, this nutty, this lovely. 1. Warm the milk, sugar, and salt in a saucepan over medium heat, taking care that it doesn’t come to a boil. 2. Meanwhile, pour the cream into a large bowl and whisk in the matcha. In a separate bowl, whisk together the egg yolks. 3. Slowly pour the warm milk mixture into the bowl with the egg yolks, whisking constantly. Then scrape the warmed egg yolk mixture into the saucepan. Return the pan to medium heat and stir constantly with a heatproof spatula, scraping the bottom as you stir, until the mixture thickens and coats the spatula. 4. Place a strainer over the bowl of matcha cream. Pour the warm custard through the strainer into the cream, discarding the solids. Whisk vigorously until the mixture is frothy and the matcha is dissolved. Fill a large bowl halfway with ice water. Place the bowl of matcha custard in the ice bath and stir until cool. 5. Chill the mixture thoroughly in the refrigerator, then freeze in your ice cream maker according to the manufacturer’s instructions. Green Tea Ice Cream Recipe © 2007 David Lebovitz. Photo © 2007 Lara Hata. All rights reserved. All recipes and photos used with permission of the publisher. Green tea ice cream is one of our favorite desserts to order in Japanese restaurants, so I loved finding this recipe. The directions work as they're written. However, I do have some hints. The general flavor and texture of the ice cream is very good. While the subtle flavor of the green tea might be good for some, my family prefers just a bit more flavor. You could up the amount of matcha by 1 to 2 teaspoons, although matcha is expensive so it would be understandable to use less of it. The subtle flavor is also in part due to the large quantity of cream, which could be reduced by a bit (1 1/2 C milk & 1 1/2 C cream) and still yield a nice, creamy texture. Whisking some of the sugar from the recipe to the yolks before tempering the hot milk into it will prevent a lot of the curdling. You can reduce the amount of yolks to 4. And straining is absolutely necessary for homemade ice cream, because even with the most careful attention to technique and temperature, it's hard to have a perfectly uncurdled mixture. 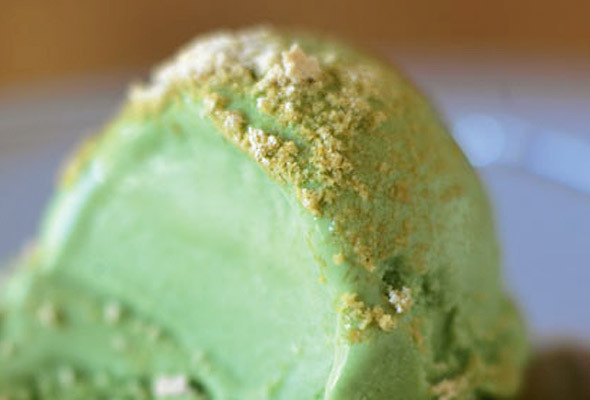 What is the green tea ice cream dusted with, please? (as shown in the photo). Hi, Luisa, and good question! The book didn’t mention, although we’ve put out a query to the author. In the meantime, allow us to toss out a few potential solutions or just plain out suggestions…we think a sprinkling of matcha powder, finely ground peanuts, even pulverized dried coconut could each be the (quite nice) culprit. Anyone else? Since I saw “pistachio” green and was thinking crushed nuts, my first guess was finely ground pistachios. However, one of our local Asian stores sells rock sugar and if that was coarsley gound, it would look similar to what is seen in the picture. 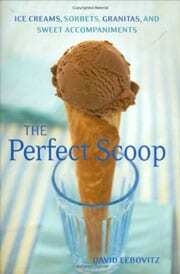 The book DOES mention what is dusted on the ice cream. It’s “kinako” powder, which is basically just toasted soybean flour. Quite nice, especially if it’s served with homemade red bean paste on the side! It’s kinako powder, which is toasted soy bean powder. Thank you, David. I would have never guessed that! Made this last week while waiting for summer fruit to arrive – wanting to pair it with a matcha tea bread/pound cake I am in search of replicating! Meanwhile, I made this with two changes: I reduced the sugar to 1/2 cup, then partway thru the freezing, scattered in a couple of tablespoons of crystallized ginger (adding back a little sweetness as well as texture). This ice cream has a lovely melt from the custard base, and I think the colour will depend on the matcha you are using. I used what I believe to be a fine matcha, not the less expensive culinary grade tho I do use that in baking if the quantity is large. The recipe is a winner. It has that authentic green tea edge, while being a really nice ice cream. Will make it again when this batch is gone. As always, my Doyen of Desserts, thank you.